It is unclear from the headline that the article means only Svalbard in the Barents Sea and neglects to inform readers that ice has been late returning in the fall consistently since 2011 and was late several other times before that. Andrew Derocher, who was the source for the impending “extirpation” suggestion for Svalbard bears (“Polar bears here may be the first extirpation event“), makes it sound like ice conditions this year are a new phenomenon for Svalbard. Data published by the Norwegian Polar Institute shows low fall ice in 1999-2001, 2004, 2006-2007, 2009-2017. In 2015 and 2016, no ice at all reached Kong Karls Land (a Svalbard denning area popular in the 1980s) by December 31 and no polar bear dens were found: 2017 had no ice by that date also but no den counts were attempted. “The most immediate concern is for pregnant females, who normally travel across the ice at this time to make maternity dens on Hopen and other islands that are important for reproduction, said Jon Aars of the Norwegian Polar Institute. 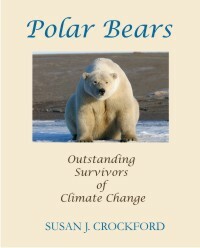 You will notice that Aars he does not mention that polar bears have not made dens on Hopen since 2008. Polar bears are not going to swim there this year if the ice does not form, because they do not have to den on Hopen Island or any other island in eastern Svalbard. They can den in Franz Josef Land in Russia and safely have their cubs there. There will be no extirpation event in Svalbard because Svalbard bears have already adjusted to repeated instances of low fall sea ice coverage by shifting their feeding and denning focus a bit further eastward. Franz Josef Land is an official portion of the Barents Sea polar bear subpopulation region (Svalbard is no more an autonomous polar bear region than Churchill: each is part of a larger whole). Franz Josef Land is a recognized refugium for pregnant Barents Sea polar bears: an area with suitable habitat that gets ice early enough in the fall to allow them to den successfully, even in low-ice years. This is not my opinion but the discovery made by polar bear specialists working in the region (Aars 2015; Aars et al. 2017; Andersen et al 2012). 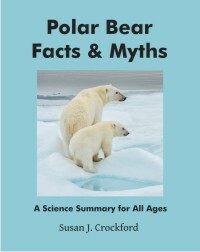 However, Norwegian and Canadian researchers cannot study polar bears in Franz Josef Land because it is in Russia. 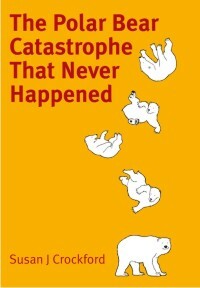 They are understandably upset over loosing their study subjects but the movement of “Norwegian” bears to Russia is not a catastrophe: it is a triumph of survival that should have been anticipated. This entry was posted in Advocacy, Conservation Status, Life History, Sea ice habitat and tagged Aars, Barents Sea, Derocher, extinction, extirpation, polar bear, Russia, sea ice, Svalbard. Bookmark the permalink.